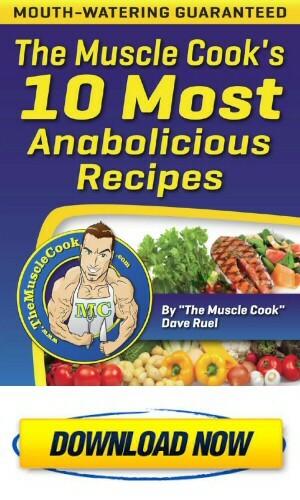 Here are the 10 most anabolicious recipes from the Anabolic Cooking cookbook by Dave Ruel. You can download the PDF for free (1,02MB). Anabolic Cooking is a program aimed at helping you eat the foods that will promote muscle-building as effectively as possible. It’s not just any diet program, but you’ll learn about the best foods to pack on those pounds of muscle. It’s meant to be paired with a bodybuilding/strength training program, as that’s the only way that you can actually put on the muscle. With the series of ebooks included in this package, you can fuel your body with all of the right foods! 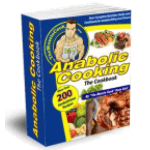 You can read our Anabolic Cooking review here.